Power and Phone to Most Lot lines- Ranch Backs up to Forest Service, Wildlife Galore!!! This Information was obtained from Sources deemed to be reliable, but not guaranteed by the Broker or Agent. Prospective Buyers should check data to Their satisfaction. 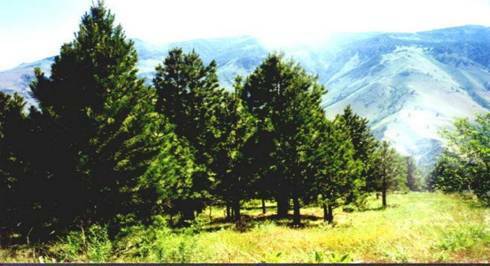 L-163 Lot 78 – 20.10 Acres. Timbered! Borders Chukar Run Road - on the Southwest area of the Ranch. Average elevation is approx. 3,900 ft. Great views, potential building sites include privacy nestled in the trees or semi-timbered and more open (as shown in picture) w/ views of the canyon & surrounding mountains. $75,000. 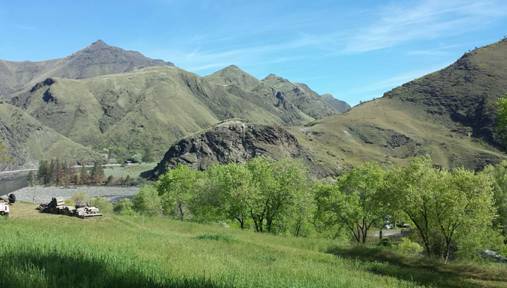 Beautiful Building site with amazing views of the Main Salmon River Canyon & Surrounding Mountains. Abundant wildlife and elbow room. Power & Phone to lot line. Located up Shuck Creek at approx. 2,700 ft. elevation. Just minutes to the Main Salmon for rafting, Jet boating &/or fishing. Also close to Hammer Creek Recreation Area & other Boat docks. Don’t miss your chance to buy this one! $69,000. 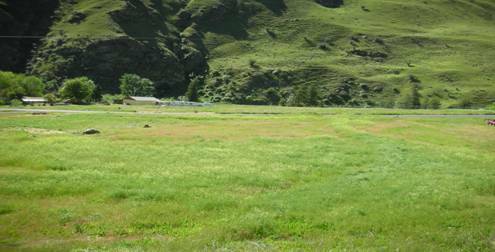 LOT 94, OVER 20 ACRES– fabulous views of the Ranch & Little Salmon River Canyon. Access from Elk Haven Circle or Cougar Court. Elevation approx. 4,000 ft. Several Choices of Building sites. Close to Forest Service $75,000. So you can build , park your R.V. or Mobile Home. Riggins City water available with hook-up fees, Septic permit has been obtained. May consider owner financing. L194: 26+ Acres, Lot 69 Whitewater Wilderness Ranch Sub. Great views of the Little Salmon River Canyon. Lot has power & phone to lot line, but needs well, septic & excavation for a driveway and building pad. Close to Forest Service. $25,000.